PDF files can contain information with varying levels of sensitivity. You may have posters, flyers, calendars, etc. that you wish everyone to open, print and use as needed. Or you may have documents that only a few key individuals should be able to open. You may also have files that you want people to be able to view, but not change using a PDF editor (invoices or banking statements come to mind, as you don't want people to remove a couple zeros from a bill you sent them). PDF files can be secured easily, restricting the options of most users. Please note that no encryption technology [wikipedia.org] is perfect, and there is software available that people can use to illicitly crack PDF files. The steps below can make it much harder for people to open or alter your documents, but they will not make it impossible. 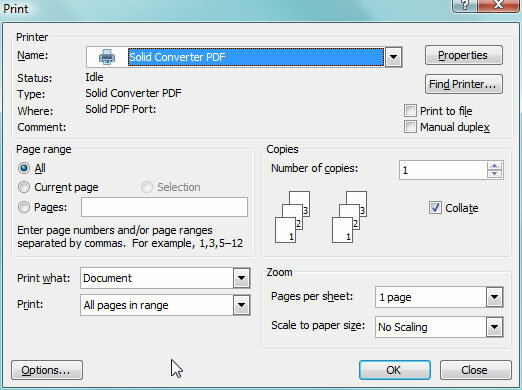 This guide assumes that you have Solid Converter PDF installed. If you have not purchased the program, you can download a free 15 day trial. 1. Open the document you wish to convert to PDF and go into File Print and select the Solid Converter PDF printer driver and click OK.
You can now setup Security, Document Information and View Preferences. We will only talk about security in this post. 3. First, determine if you need to prevent someone from opening your new PDF file without a password, or doing something with the PDF without a password (print, edit, extract contents, etc). - If you need to do the former, check "Require user password to open the document" and enter a user password. Anyone who wants to open the PDF file in Adobe Reader will need this password. - If you need to do the latter, check "Use owner password to restrict printing, editing and extraction". Next, enter an owner password and uncheck the items that you don't want people to do. Printing (printing the document to a paper printer, for example). Editing of contents (changing the PDF file using a PDF editor). 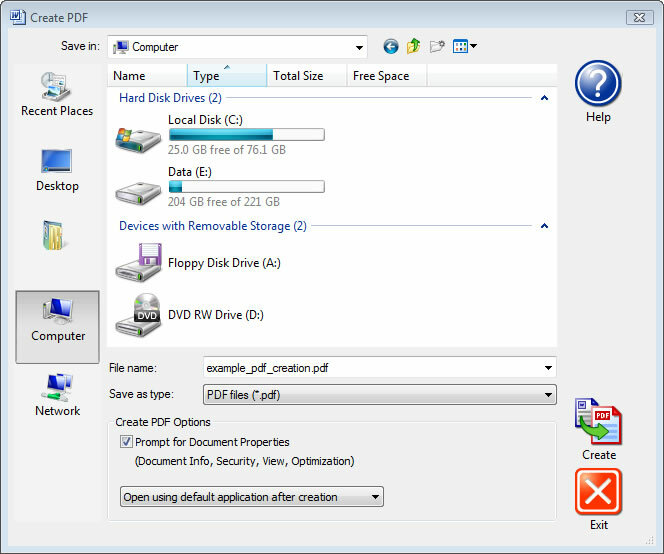 Copying and extraction of contents (to prevent copy/pasting from the PDF file, or using a program to convert the PDF to DOC). Adding or editing of comments. 4. Finally, you can set the encryption level at the top of the window. If you select either password option it will automatically default to "High (128-bit RC4)". Opening this kind of file requires Adobe Reader 5.0 or higher. If you want to apply a stronger encryption method, select the drop down menu next to Encryption Level and select "High (128-bit AES) or High (256-bit AES)". This requires that viewers of the file have Adobe Reader 7.x or higher installed (you may download the latest Adobe Reader for free [adobe.com]). Finally, you can select a weak encryption method (40-bit RC4), but we don't recommend this, unless you have to make the PDF file display in Adobe Acrobat 3 or 4. 5. 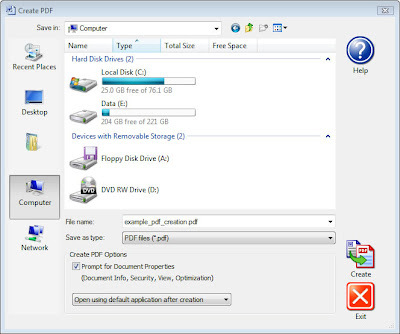 Once you've setup how you want to secure the PDF file, click OK and the file will be created.